FORT WAYNE, Ind. 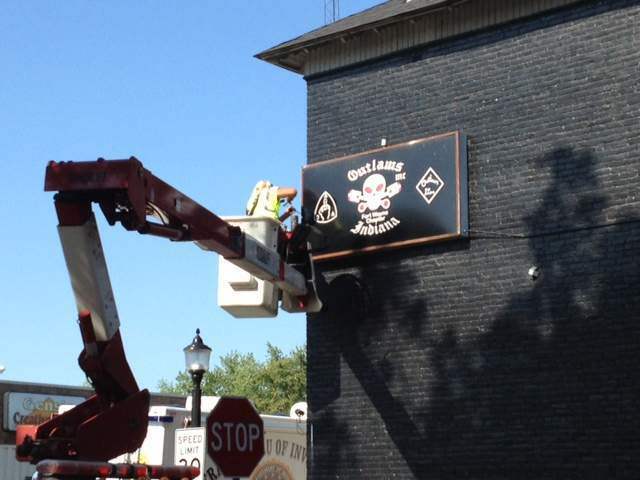 (Sept. 16, 2015) -- The Outlaws Motorcycle Clubhouse was raided by several law enforcement agencies Wednesday morning but turned it out to be empty. 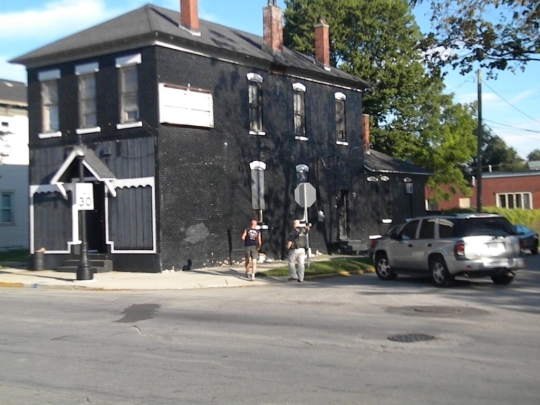 Members of the FBI, Drug Enforcement Administration, ATF and Fort Wayne Police Department were also at the club during the seizure, which occurred sometime before 8:30 a.m. as agents came in through a back door. 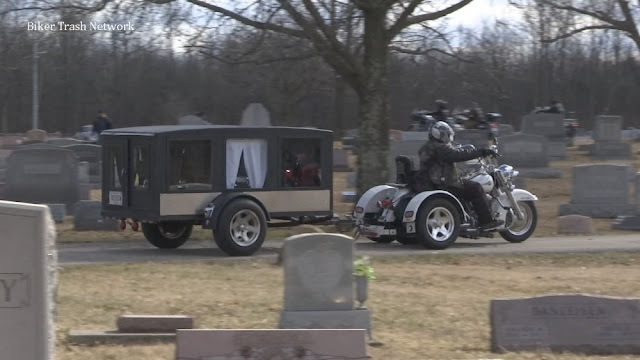 Neighbors said they hadn't seen any Outlaws members there for two weeks and no one was seen being brought out of the building. A fence obscured the scene, but we do know that the city, county and state police backed up the federal agents and sent in the city's robot equipped with a camera to scope out the place. It appears that the back door was broken down or blown off its hinges. A neighbor said that a loud boom woke him up. "I thought somebody got shot, but I guess it was them throwing a flash-bang inside," neighbor Andrew Hepworth said. "Then I come outside to try to smoke a cigarette and they're like, 'Well, you cannot be out here. You have to go back inside.' So I went back inside and they just, by force, man, like 30 of 'em, and they just went in and tore it up." Another neighbor said that police handcuffed a man and took him away. U.S. Marshals taped an envelope on the front door declaring an order of seizure. U.S. 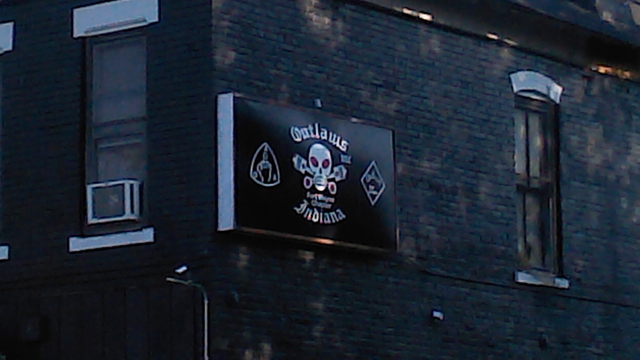 Marshals seized the former Outlaw motorcycle gang clubhouse located at 1202 W. Main Street today. The seizure was a result of a criminal case originating in the Southern District of Indiana. The U.S. Marshals were assisted in the seizure by the Fort Wayne Police Department, the Drug Enforcement Administration and the Bureau of Alcohol, Tobacco, Firearms and Explosives. The seizure took place without incident. The final order of forfeiture for the Fort Wayne property was ordered by the federal court on June 16. The U.S. Marshals Service plays a critical role in identifying and evaluating assets that represent the proceeds of crime as well as efficiently managing and selling assets seized and forfeited by the Department of Justice. The Marshals Service said the raid and seizure came out of a criminal case being worked in the Southern District of Indiana. A final order of forfeiture for the property was ordered by the federal court on June 16. Federal agents have been at the blackened club previously. In 2012, FBI agents raided the club as part of greater, simultaneous raids across central Indiana of like clubs involving some 300 agents. Out of that, 17 warrants issued by the U.S. Attorney’s office for federal law violations were served to 40 suspected club members simultaneously across central Indiana and Fort Wayne.